Monday May 25th is Memorial Day, a day to reflect on those that served our country, and to mark this great day CyberBingo is bringing you an evening filled with fantastic bingo fun with incredible cash prizes to be won every game. Starting at 6:00PM EDT in the USA Bingo room, we will play our Top of the Hour Memorial Day Reverse Coverall games for cash prizes of up to $1,000. Each one of these great games will play a cash prize that will start out at a guaranteed $100 and if not won by the 46th call, will then rise by $45.00 on every further ball called until it hits an amazing $1,000 in cash. These incredible reverse Coverall games have a card cost of only $2.00 a card and offer fantastic cash prizes that just keep on growing all the way up to $1,000. With fantastic Memorial Day reverse coverall games and all your favorite USA bingo games to play, make sure to join us this Memorial Day in the USA bingo room for guaranteed bingo fun and excitement. 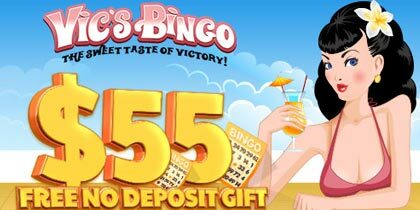 Enjoy even more great chances to win on Memorial Day with an incredible Buy 6 Get 3 Free offer on all cards to Cyber Bingo fabulous Memorial Day Reverse Coverall games. All you have to do is select 9 cards and you will only be charged for 6. 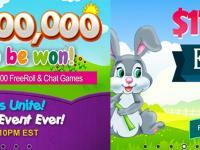 That’s fantastic free chances to win $1,000 in cash every game. 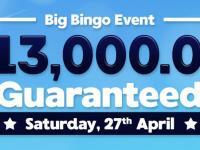 It’s time to find the next big winner at CyberBingo as they give away $1,000’s in guaranteed cash prizes in this month’s Big Bingo Event – The $15,000 Reverse Coverall event on Sunday, May 10 EDT. 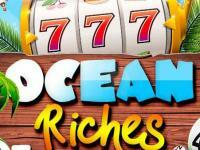 With fabulous games and incredible cash prizes to be won, will you be the lucky player could win themselves an amazing $15,000 cash prize? 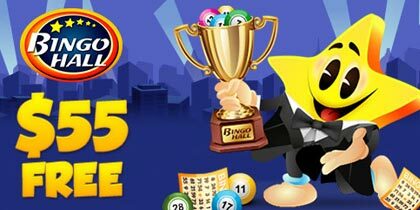 Join in the bingo fun and excitement in the Bingo Tourney room from 8:00PM EDT on Saturday, May 30 EDT to be a winner in the $15,000 Reverse Coverall event. Starting at 8:00PM EDT we will play three (3) top of the Hour $1,000 guaranteed games at just $2.00 a card. These incredible guaranteed cash prizes are just a warm up as we head towards the big game at 11:00PM EDT where we play for up to $15,000 cash in new $15,000 Reverse Coverall game. 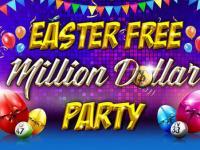 The fabulous $15,000 Reverse Coverall game starts with a guaranteed cash prize of $1,500. When the 46th ball is called, the prize pot grows by over $450 with each additional number called until it hits an incredible $15,000 cash prize. With a fantastic cash prize that just keep on growing and a card cost of just $5.00 a card, our new and exclusive $15,000 Reverse Coverall game could see you become the next big winner at Cyber Bingo. 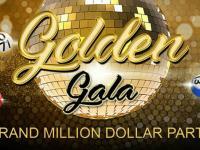 Don’t miss your chance to be the next big winner, preorder your cards for The $15,000 Reverse Coverall event now!